Pete McBride is a contributor to Writers on the Range, the opinion service of High Country News. A native Coloradan, he is a photographer, filmmaker and author focused on the Colorado River watershed. He lives in the Roaring Fork Valley of Colorado. One morning this summer, I stepped onto my paddleboard and glided into the headwaters of the Colorado River. To my amazement, the Roaring Fork, a tributary of the Colorado in the western half of the state, was far from roaring. The stream was more like the kind of babbling brook you might find during a hot late summer. But it wasn’t anywhere near the dog days of August. It was still June. A splashy spring runoff, which typically appears in late May and June, delights boaters and allows water managers a chance to breathe easy. But this year, it was nowhere in sight. There was certainly no hint of it in the few, quilt-like patches of snow that clung to Colorado’s 14,000-foot peaks. The end of the Colorado River is constantly moving as the river dries up more and more. Unfortunately, this is the new normal. Hydrologists have noted that the whitewater runoff came frighteningly earlier than usual this year, and the amount of water will go down as one of the lowest ever recorded. Most of us know that that’s bad news, because the Colorado River quenches the thirst of some 40 million people across the Southwest, Los Angeles and Southern California and parts of Mexico. As I navigated downstream, I marveled at the number of rocks already rising above the surface and the crystalline clear flow shrouding them. Fish need cool water to survive, and I knew that in the months ahead, the water would grow ever warmer. Rivers fluctuate from year to year, so below-average years aren’t out of the norm. But the Colorado River has already experienced over two decades of drought due to climate change, not to mention a history of over-allocation and increased demands from a growing population. As a result, it is a wrung-out river — from here, where I was paddling, to some 1,400 miles downstream. The Colorado River Delta, once the largest desert estuary in North America, is also struggling today. Not a drop of the river that once carved the Grand Canyon actually reaches the sea anymore. I know, because I’ve followed the river, mostly on foot, to its end numerous times as a photographer and filmmaker, documenting the rapidly changing state of my backyard river, the place where I learned to fish and swim as a child. Shrinking snowpacks and low waterways will eventually affect everyone. As our watershed goes, so goes much of Colorado’s recreation-based tourist economy. 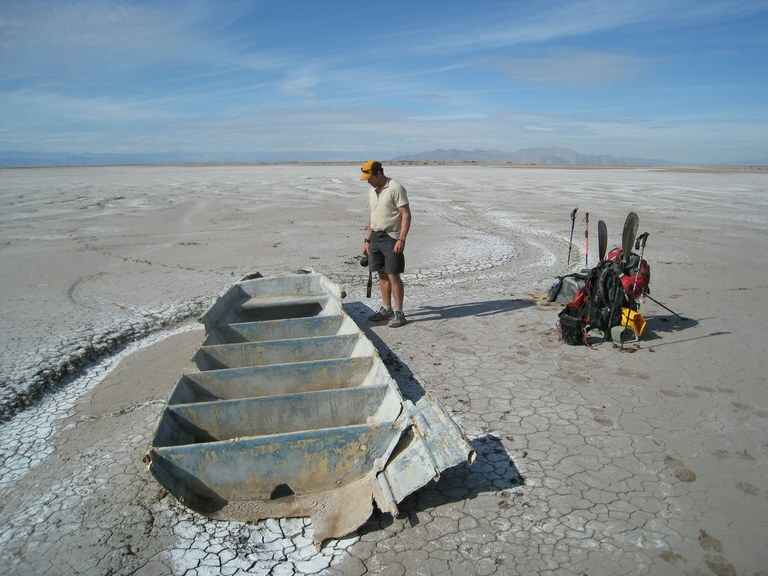 The white bathtub rings that already mark the West’s major reservoirs, lakes Powell and Mead, are not only stark reminders of the water levels we once had; they also foreshadow what may come. If we continue to ask too much of water, this finite and incredibly valuable resource, it will simply disappear. And then, like civilizations before us, we, too, will be forced to flee. This year, our rivers experienced a remarkably thirsty start, and they are even lower now, as we near the end of August. With predictions for continued statewide population growth and hotter and drier conditions becoming commonplace, it is past time to start thinking — and voting — to protect our water. Colorado’s Water Plan is a good place start. The Water Plan was developed from the ground up and is intended to protect all of Colorado’s water needs, including the needs of our rivers and streams for water. Its proposals include conservation, alternative methods of utilizing agricultural water that do not result in the permanent dry-up of farmland, and support for those water projects that meet the necessary requirements. 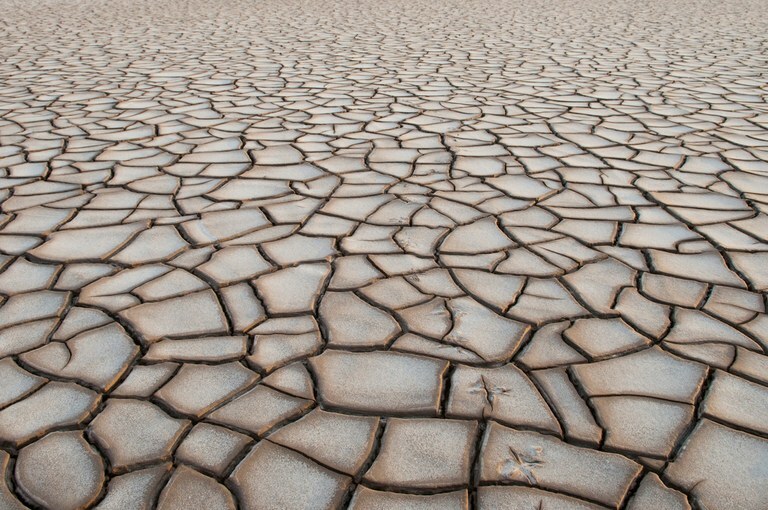 Cracked earth at the dried up end of the Colorado River. Our network of moving water needs as much help as Colorado’s roads and bridges. Coloradans need to let their legislators and local leaders know how much they care and ask them to support additional funding to protect and improve our vital waterways. We don’t have much time. We need to insist on prioritizing the benefits of a healthy recreation and tourism industry and, of course, protect the fish and wildlife that depend on these rivers for their very existence.